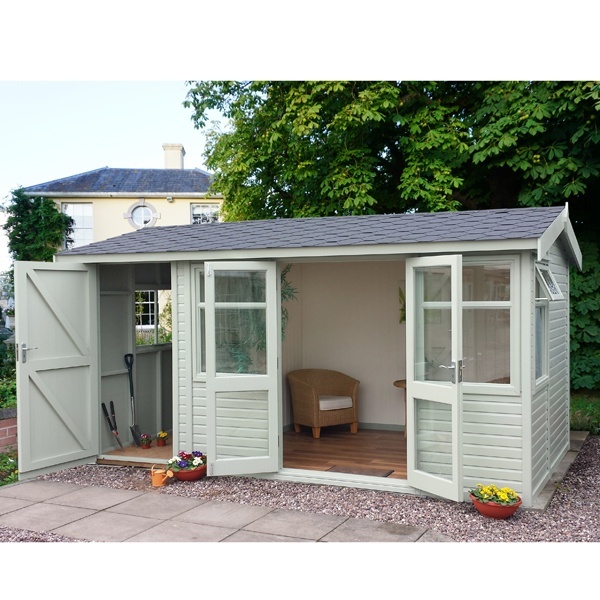 Influenced by the Malvern Arley Pavilion High, the Acacia Pavilion High combines both a summerhouse and garden office. Based upon our popular Acacia Pavilion building, and being double glazed throughout and with the option to add lining and insulation, this stunning garden building is perfect for all year round use. The Acacia Pavilion High stands higher at the ridge and eaves than the standard Acacia Pavilion giving additional headroom for a more 'roomy' feel. Each building comes with 4 double glazed windows as standard and double, double glazed door.The floor of the Acacia Pavilion High has pressure treated joists to ensure that it will last for many years without decay and an optional laminate floor is available in a choice of contemporary styles.To ensure this building fits into your garden space, you may specify the position of the doors and windows (some restrictions apply). 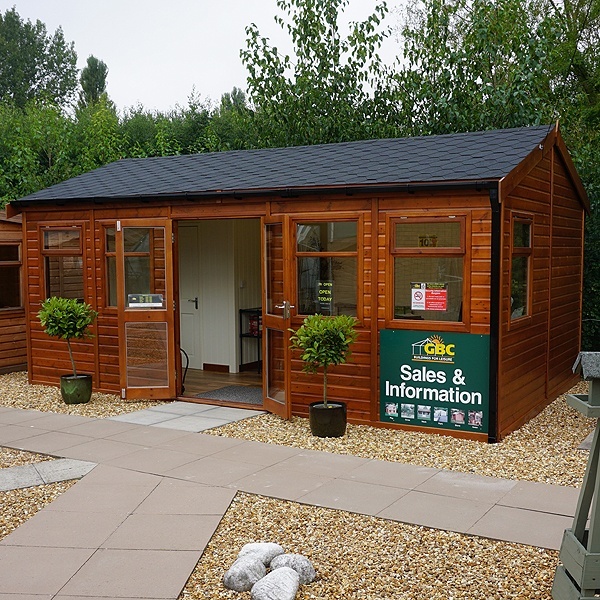 As standard each Acacia Pavilion has modern chrome ironmongery, a five lever mortice lock for added security, 38kg bitumen felt roofing in red, green or black, rot proof pressure treated floor joists and a preservative treatment throughout. Our great range of optional extras gives you the ability to tailor your Acacia Pavilion High to your own style. 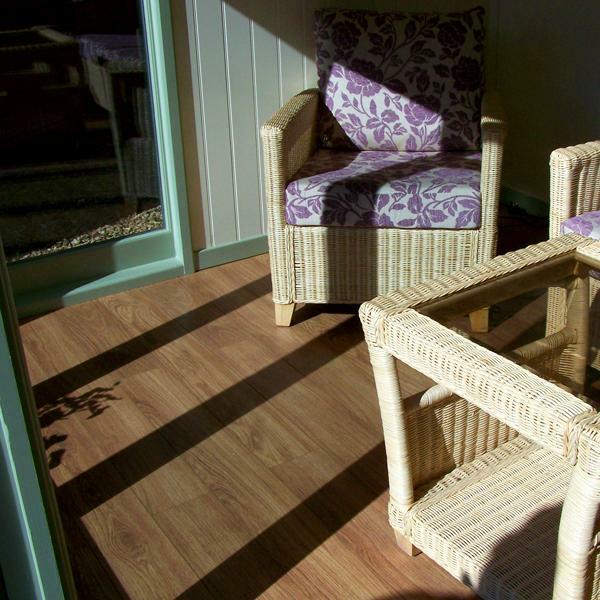 By adding either the patterned MDF or tongue and groove lining and insulation your Acacia can be used all year round - keeping you warmer through the winter months. The Acacia, part of the Garden Living range also offers a choice of cladding profile. Choose from traditional shiplap, as featured prominently in the Malvern Arley range, or square cladding - a contemporary and stylish cladding profile. Please take a look at our photo gallery which will show you various sizes of this building along with pictures of its construction and optional items. 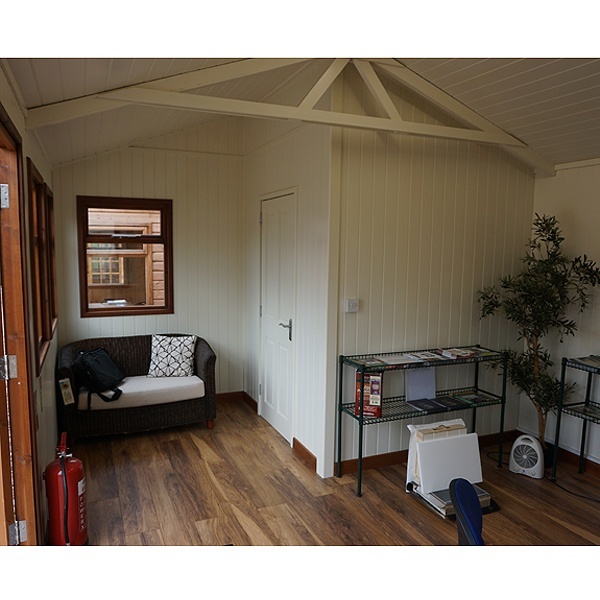 Why Choose a Acacia Pavilion Garden Room? As standard, the Acacia includes half-height, double glazed windows and doors with a single half-height window either gable end of the building. This maximises light into your building - perfect for all uses! With additional ridge height allows more creative possibilities - use as a home gym, for your business, playroom and many more. 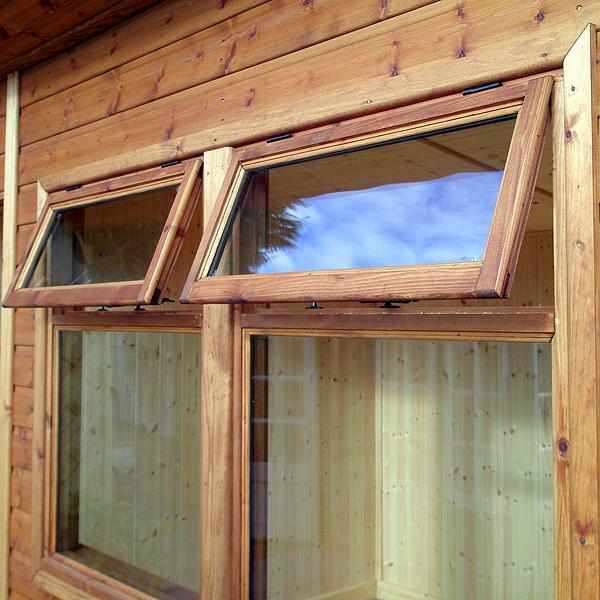 All Acacia and Sienna range buildings are supplied with chrome window and door furniture, bringing a high-quality finish to your summerhouse. 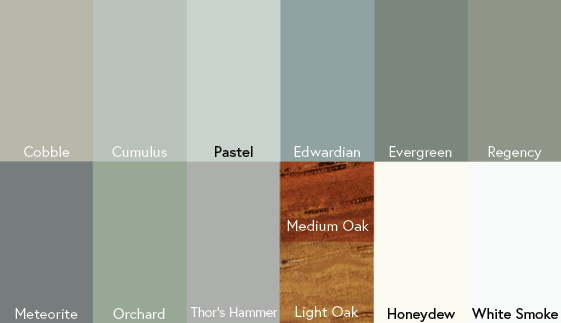 The Acacia has the option of a painted finish and you can choose from 13 countryside colours! We can also paint the windows and doors in an alternative colour to really make the building your own. Change the look of your building by upgrading to Georgian windows and doors. Complement your building with bitumen felt tile, a slatted timber roof or even cedar shingle tiles! This high-eave version of the popular Acacia Pavilion is used by us as our Sales and Information Centre at a number of branches. The Acacia Pavilion HIgh has 4 windows as standard. Here we have positioned them in the front elevation and added one extra at each end of the building. Medium Oak external finish, internal MDF lining, bitumen felt tiles, gutters and downpipes, laminate floor and internal partition are also featured ! This shows the Acacia Pavillion High 12ft gable fitted with an additional single end window. The building has a conventional roof pitch. The Medium Oak stain used on this building is exceptionally hard-wearing and shows the timber off to good effect. A view from the desk ! The Acacia High creates a roomy and adaptable working environment. On bigger versions of the Acacia High you may wish to create a partitioned area for storage or a separate room. 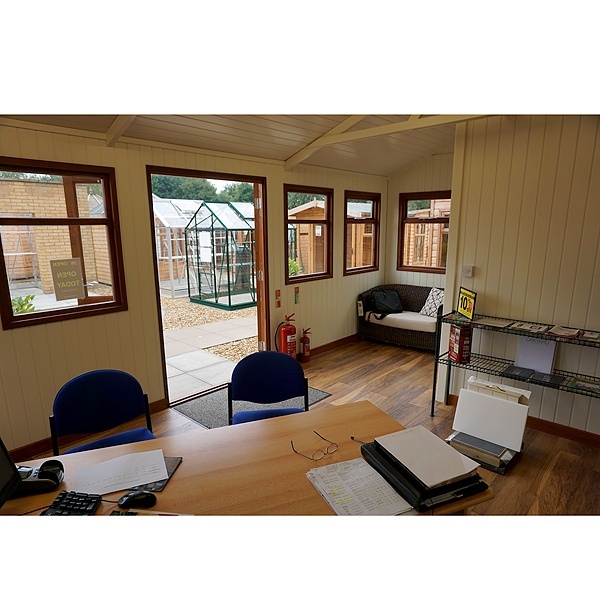 This can take the form of a simple division of the building into two sections with a partition or, as we have done with our offices, a 6ft x 6ft rear room which preserves our view through the windows at each end from the main office. MDF lining and laminate floor are shown here to good effect. 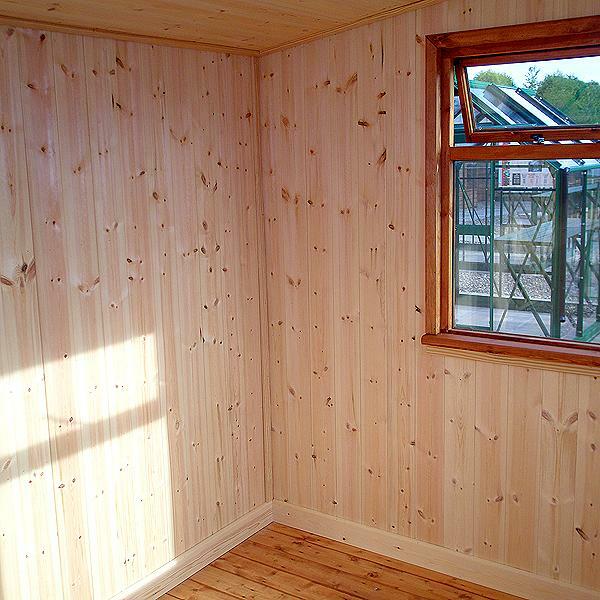 Walls and roof can be insulated and lined either with tongued and grooved pine or with mdf as pictured. This enables the building to be used all year round with a minimum of heat loss. We heat our offices with a floor standing convector heater which can maintain a minimum heat overnight and a pleasant working temperature during the day. The optional tongued and grooved pine lining inside the Acacia Pavilion is carefully fitted to provide a pleasant working environment. Because the walls and roof are insulated when the building is lined, the Acacia Pavilion will become suitable for all year round use. We recommend heating the Acacia Pavilion with electric thermostatically controlled convector heaters. You can set these to maintain a minimum temperature when you aren't using the building so that paper and equipment remain at the appropriate temperature. This 14ft x 8ft Acacia Pavilion has the partition ( 4ft wide in this case ) fitted on the LH side. Please note that the partition area with optional solid timber door is not lined or double glazed. This is a good example of our optional paint finishes being used to good effect. 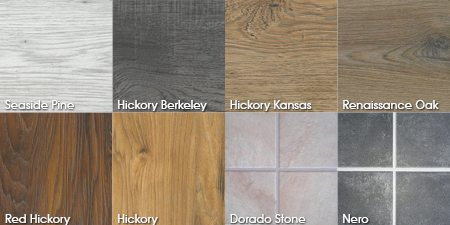 You can choose from 16 countryside colours or medium oak stain finish. Please note that the partitioned amount of the building converted to shed use is up to you - but is normally 4ft, 6ft or 8ft depending on the overall length of the building. We are able to offer a selection of attractive laminate floors for our Acacia range which, if you choose to have our bespoke fitting teams to install your building, will be fitted at the same time. Shown here fitted in the Sienna range which has full length windows rather than the Acacia's half length windows. 4 Double glazed windows are included with each Acacia Pavilion High... you specify their location in the building. Two have top opening vents as pictured, the other(s) have fixed transoms. You can add additional windows or 'Georgian' style windows as an option. The picture shows the optional bitumen felt tiles. These are available in three colours : black, green or red ( pictured ). They are very hard wearing and provide an attractive alternative to the standard bituminous felt roof. Our standard cladding on the Acacia range is 12mm Redwood (pine). This is treated with a wash of quality wood preserver both inside and out before it leaves the factory. This picture shows the cedar slatted overlap roof finish available for the Acacia Pavilion. Laid over an inner felted roof this gives double protection to the building and is an attractive addition which will weather over the years to a silver grey colour. 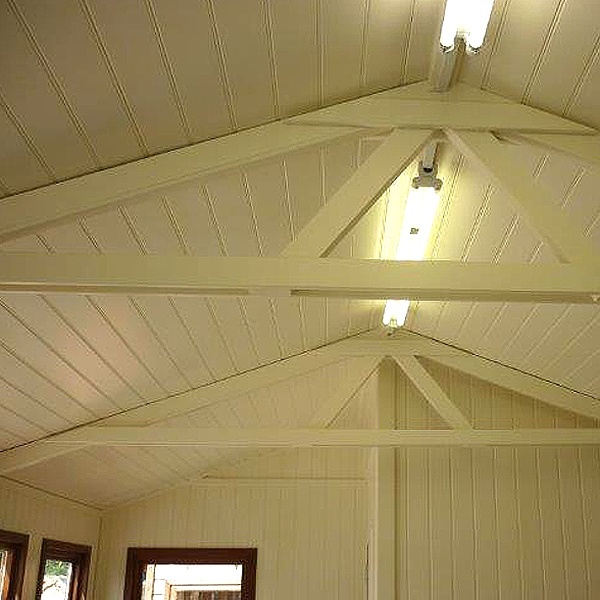 Shown here on our Stanford shed range, the principle is exactly the same for the Acacia. The Acacia roof can have pressure treated slats for an extra touch of style at an additional cost. These are laid over a felted inner roof which ensures that it is double weatherproofed! Cedar slatted roofs are available too. Other options include felt tiles or cedar shingles. 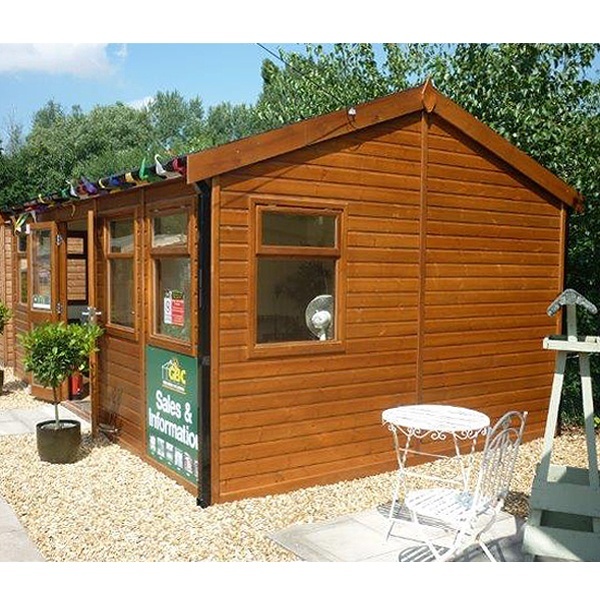 Shown here on our Stanford shed range, the principle is exactly the same on the Acacia range. The Acacia Pavilion High has chrome fittings as standard, consisting of Chrome door hooks, casement stays, hinges and handles. Brand new for 2018, the Malvern Acacia and Sienna range now have the option of tinted glass for additional privacy and security. Perfect for the garden office that may be overlooked by neighbours. This model is 10ft wide x 8ft deep with attractive cedar cladding and a tongue and groove internal finish with insulation.